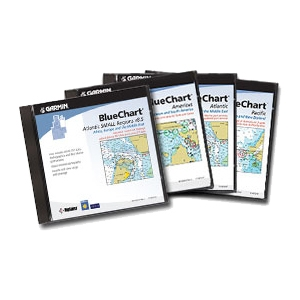 Whether you're exploring new coastline or cruising your favorite bay, BlueChart Americas v7 contains the most detailed marine cartography around. These electronic nautical maps give you peace of mind when navigating offshore. Version 7 additions include rigs and artificial reefs for the East Coast and the Gulf of Mexico. Note: These functions of this product work with nearly all Garmin GPS units, excluding the GPS 100 family and panel mount aviation units.